Turbulence forecasts, weather explanations and real-time​ commenting on what is happening right now during your specific flight. All in flight mode! Do you feel discomfort during flight? Do you need more information about what’s going on at every step? Or, perhaps, you love to fly and just want to learn more about aviation and understand it better? 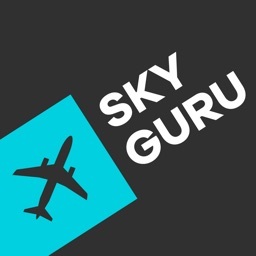 SkyGuru provides passengers with detailed explanations of most the processes that are happening during the flight. 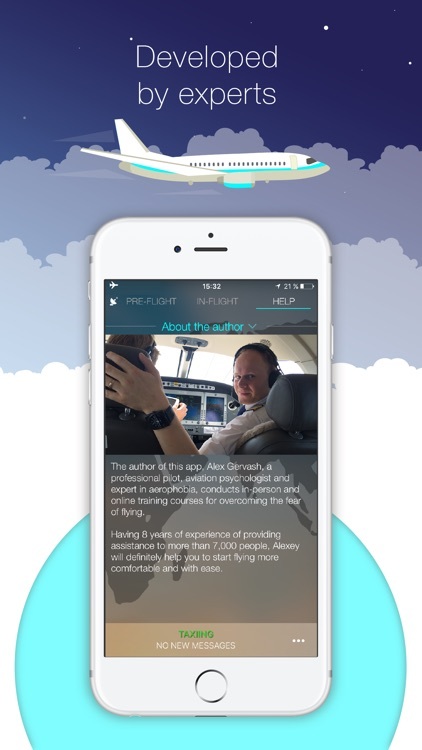 Flying with SkyGuru is just like flying next to an experienced pilot! Imagine sitting next to a pilot who could explain every sound, every turn, every sensation you are feeling, warned you about any upcoming turbulent areas, and just turned your flying experience into a conscious process. 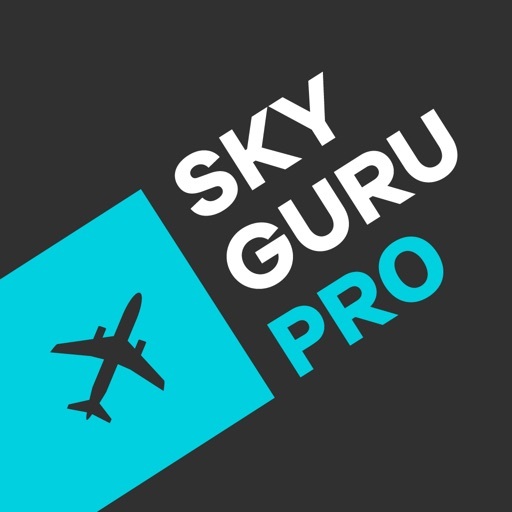 SkyGuru – is your personal guide in the world of aviation. SkyGuru was created by a professional pilot Alex Gervash, director of “Flying without Fear” – a center for studying and treatment of aerophobia. The application receives information about an upcoming flight from professional aviation resources used by airlines around the world to plan their flight routes. 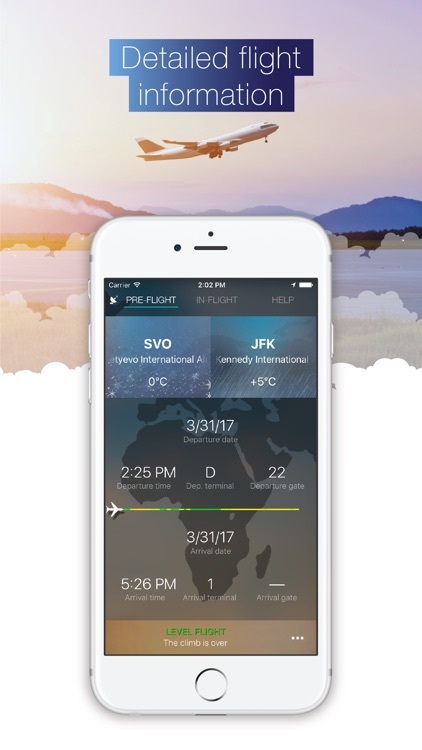 With the help of your iPhone sensors and thousands of algorithms in the program, the app recognizes various stages of the flight process and accompanies you during the entire trip. 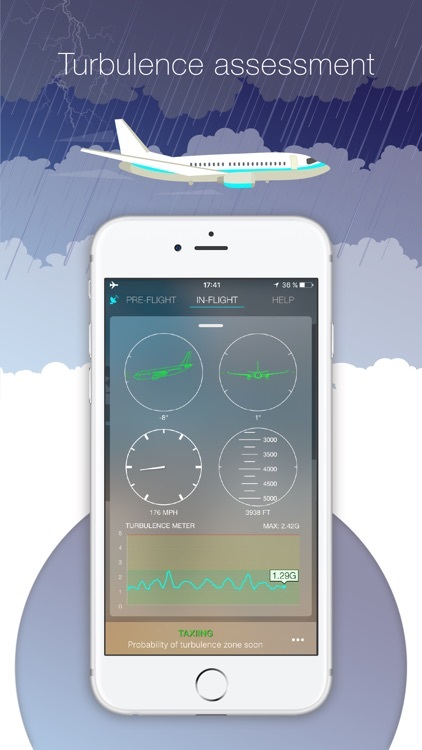 It supports, teaches, comments, and explains everything that’s going on during the flight in real time. The application works in FLIGHT MODE during the actual flight! 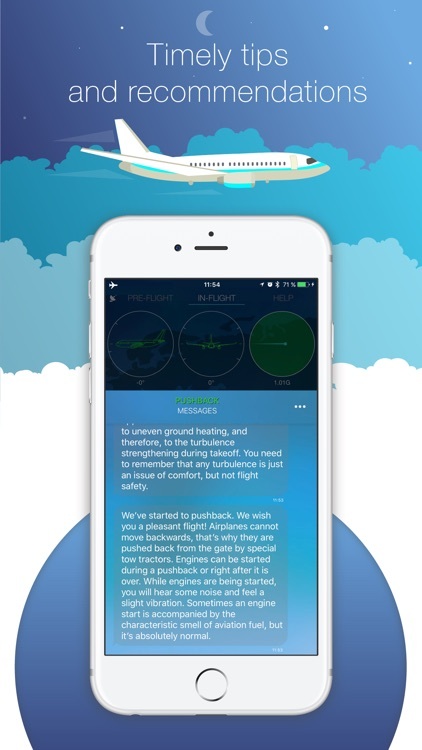 - Forecasts and warnings for most turbulent areas on flight route, including approximate time of entry and duration of each. - Description of weather conditions at the departure airport and explanations of how they may affect your sensations during take-off. - Calculation of the flight time with current winds. - Explanations of possible delays, waiting times for take-off, etc. - Real-time explanations of most sounds, which could worry the passengers (e.g. landing gear sounds, changing flaps, etc.). - Explanations of possible “dipping / falling through” sensations due to vestibular apparatus’ incorrect perception of the actual plane position. - Advice on choosing your seat in an airplane and preferred boarding times according to your flight itinerary. - Updated information on weather conditions at your destination airport, their influence on landing approach and your sensations during it. - Warnings about higher probability for going around due to current weather conditions. - Turbulence graph and current G-force values created by turbulence. - Flight speed and altitude, given a stable GPS signal (available when seated by the window). - Airplane nose positions relative to horizon and airplane bank angles relative to horizon when turning. - 3D airplane model of its relative position in space with banks, ditches, and turbulence influence. - Explanations of expected maneuvers after take-off and shortly before landing. - Explanations of cabin procedures, such as: “why does the light blink,” “why do we open window blinds,” as well as answers to many other questions that may worry passengers. All in real time. 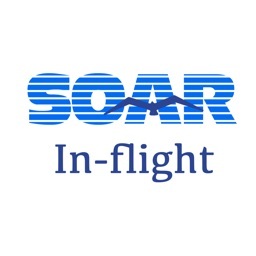 - Unique helpful methods and exercises that are designed to assist passengers with aerophobia to overcome fear and make their flight more enjoyable. - Flight knowledge and aviation education, as well as interesting facts about airplane safety. 1.Speed and altitude are only available with GPS signal. 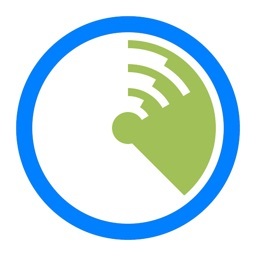 2.The app can only be used on a REAL flight. 3.If you have any questions, please contact us. We are always happy to support you. ATTENTION: FULL FLIGHT NUMBER SHOULD BE USED, INCLUDING AIRLINE PREFIX, NOT EARLIER THAN 24 HOURS BEFORE YOUR FLIGHT.